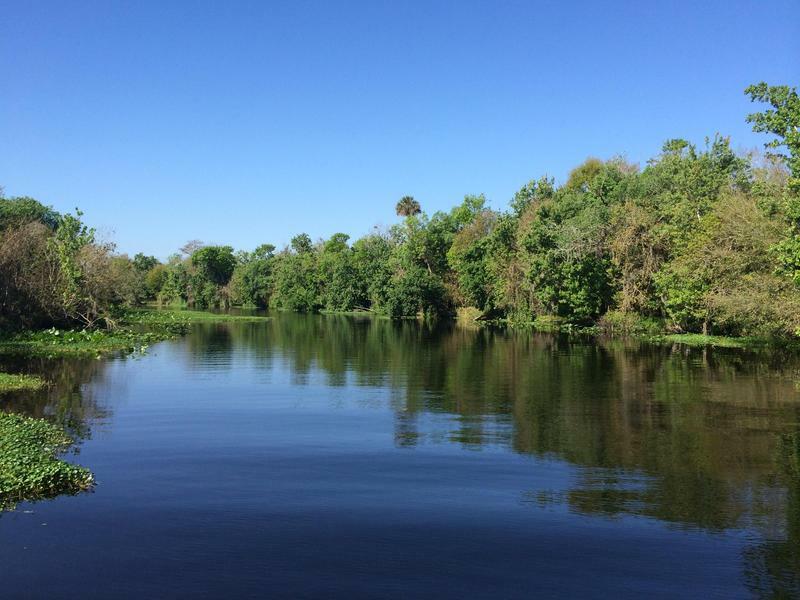 The measure would increase annual funding for springs restoration from at least $50 million to $75 million and also proposes at least $50 million a year for the St. Johns River, its tributaries or the Keystone Heights Lake Region. Although funding for these kinds of programs was increased during last year’s legislative session, Bradley’s bill failed. The Northeast Florida senator told his colleagues his measure was most about regional fairness in funding. 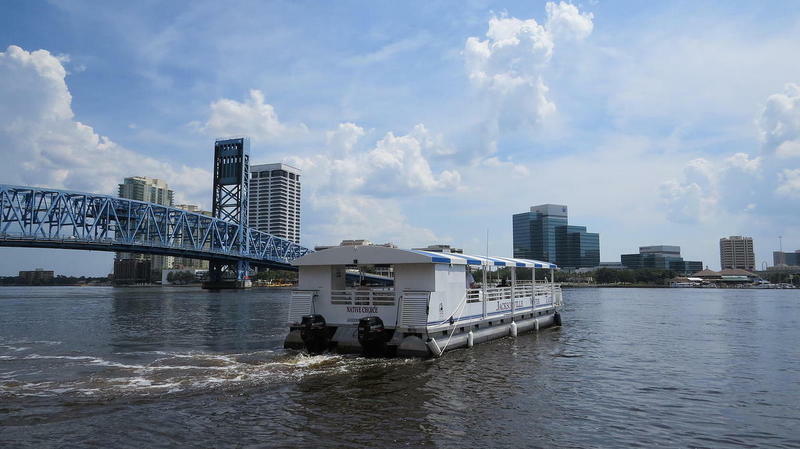 Last year the Legislature allocated a little more than $13 million, only $5 million of which would be recurring, to St. Johns River projects. Meanwhile, millions more was spent on projects in Central and South Florida. Amendment 1 mandates 33 percent of documentary tax revenue be set aside for conservation over the next 20 years. Since its passage in 2014, lawmakers from around the state have engaged in yearly in political battles over which region gets funding. The documentary tax is a fee paid on documents such as claim deeds and certificates of title, documents that show ownership of real property. Bradley’s bill wasn’t the only conservation budget proposal to unanimously pass the committee Monday. Another measure, sponsored by Sen. Jack Latvala, R-Clearwater, would allocate at least $50 million annually for beach renourishment and repair, although it doesn’t specify which beaches would receive funding. Revenue from Amendment 1 is expected to hit more than $1 billion at the tail end of its two decade-long run. The tax is expected to bring the trust fund $862.2 million next fiscal year, according to an August estimate by state economists. reports the News Service of Florida. Lawmakers have been criticized for spending the tax revenue on water and sewage projects, some restoration efforts and state salaries. Environmental advocates, like the St. Johns Riverkeeper, are currently suing the state for not spending the bulk of the dollars on acquiring new conservation land, but that suit isn’t scheduled to be heard by a judge until July 2018. Riverkeeper Lisa Rinaman said her organization is generally supportive of Bradley’s measure and of any measure restoring Florida’s fragile ecosystem, but that not every project is created equal. Rinaman said she hopes extra scrutiny will be paid to the projects Bradley’s bill eventually pays for. Bradley’s bill leaves specific spending decisions to the St. Johns Water Management District. On the wall behind Jim McCarthy’s desk hangs a large photograph of a skeletonized tree trunk resting on the iconic Boneyard Beach at Big Talbot Island State Park. “That beach is important,” said McCarthy, president of North Florida Land Trust. Since 2012, the nonprofit organization has preserved most of the over 1,000 acres of privately owned land on the island. The project, which protects migratory birds’ layover spots and diamondback terrapins’ dwellings, is largely financed by a private fund. 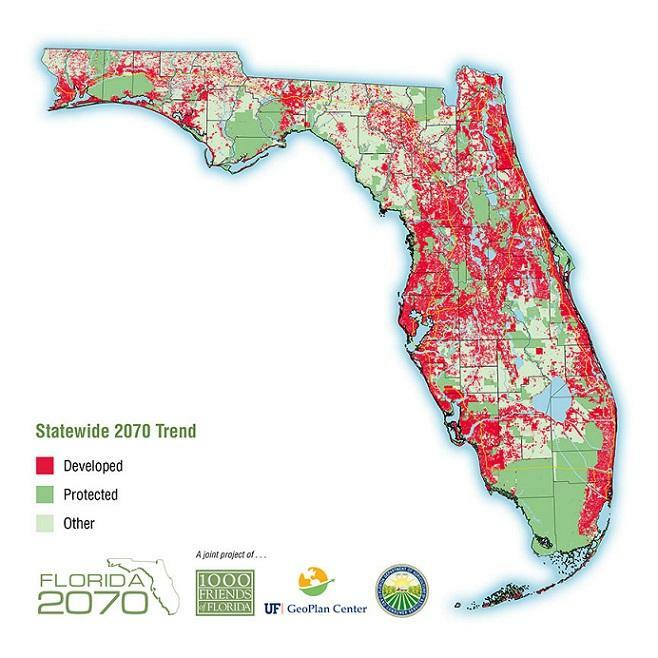 Northeast Florida is projected to have the state’s second-largest population growth over the next 50 years, according to a new study. First Coast development is also expected to be among the most sprawling. But the study’s authors say that prediction doesn't have to come true.